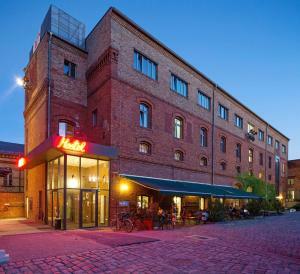 This hotel is situated in Berlin's Prenzlauer Berg district. 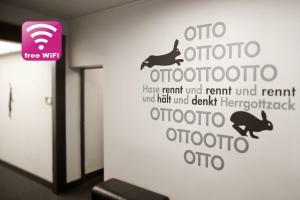 It offers free WiFi in all areas, a free walking tour of the city centre and free use of the safe and baggage room. 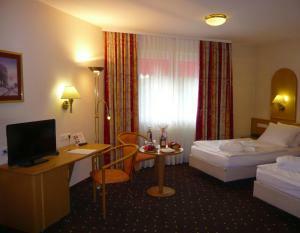 The modern rooms at the MEININGER Hotel Berlin Alexanderplatz are spread over 7 floors. 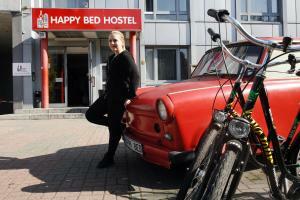 The MEININGER hotel also has a bar, communal lounge and shared kitchen. Alexanderplatz square is less than a 15-minute walk from the MEININGER Hotel Berlin Alexanderplatz, as is the Hackescher Markt shopping area. 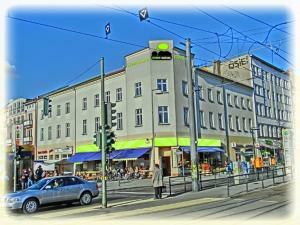 Linnen price per day from €92 Linnen is an Inn located in Prenzlauer Berg, Berlin’s trendy going-out district and also offers apartments in Mitte, Berlin's centre. It offers free WiFi, design interiors and on-site café and bar. 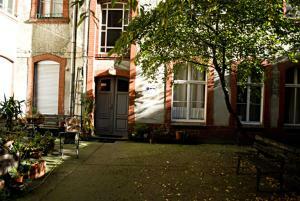 Linnen is a typical 19th-century Berlin residential building, which has been fully renovated. 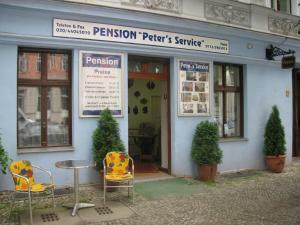 The main building is situated within a 5-minute walk of Eberswalder Straße Underground Station and the Mauerpark (Wall Park), where a popular flea market takes place every Sunday. Restaurant Cuore Di Vetro, Berlin Guest reviews: 9,8/10 ~ 0,8 km from MEININGER Hostel Berlin Alexanderplatz Address: Max-Beerstr. 33, 10119, Berlin. Cuisine: Italian. Restaurant Sucre et Sel, Berlin Guest reviews: 9/10 ~ 1 km from MEININGER Hostel Berlin Alexanderplatz Address: Torstrasse 132, 10119, Berlin. Cuisine: French. Restaurant Madami - Mom's Vietnamese Kitchen, Berlin Guest reviews: 9,6/10 ~ 1,1 km from MEININGER Hostel Berlin Alexanderplatz Address: Rosa-Luxemburg-Str.3, 10178, Berlin. Cuisine: Asian. Restaurant Villa Rodizio, Berlin Guest reviews: 8,6/10 ~ 1,4 km from MEININGER Hostel Berlin Alexanderplatz Address: Milastrasse 2, 10437, Berlin. Cuisine: Barbecue. Restaurant Fassbender-Rausch, Berlin Guest reviews: 9/10 ~ 2,8 km from MEININGER Hostel Berlin Alexanderplatz Address: Charlottenstrasse 60, 10117, Berlin. Cuisine: Café.